My take: Holly feels like the rug of life is being pulled out from under her. She’s reached middle age, her hormones are running her life, her only child is heading to college soon, her mother is in the hospital, and just when she thinks nothing more can change, she starts to suspect her husband may be having an affair. 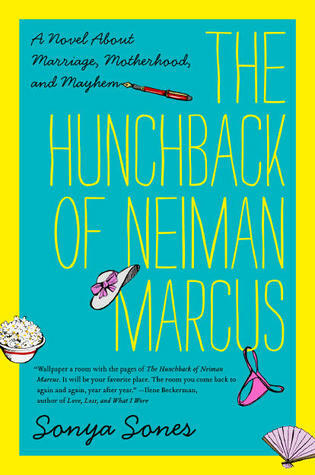 The Hunchback of Neiman Marcus is written in verse. Don’t let that dissuade you from reading it because it reads like prose. It is funny, honest, poignant and spot on for women of a certain age. One minute I would laugh out loud and the next I would sigh and nod in agreement with Holly. Can you tell I related to the novel? This is one book I’ll recommend to my friends – I know they’ll love it.